4 Wheel Forklift that runs and operates. Unit has no visible problems. Mostly cosmetic issues. 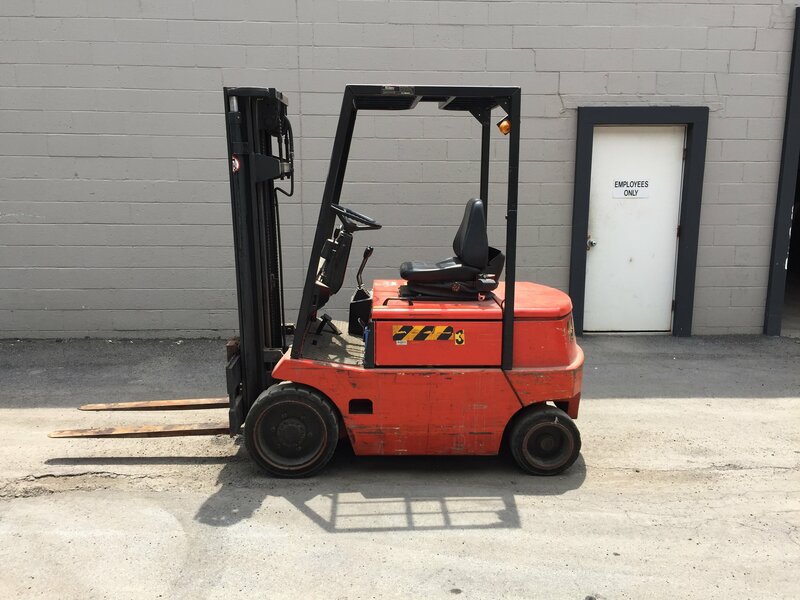 Forklift has a 3 Stage Mast and goes over 15 feet high. Unit has a sideshifter and a good set of 42" forks. 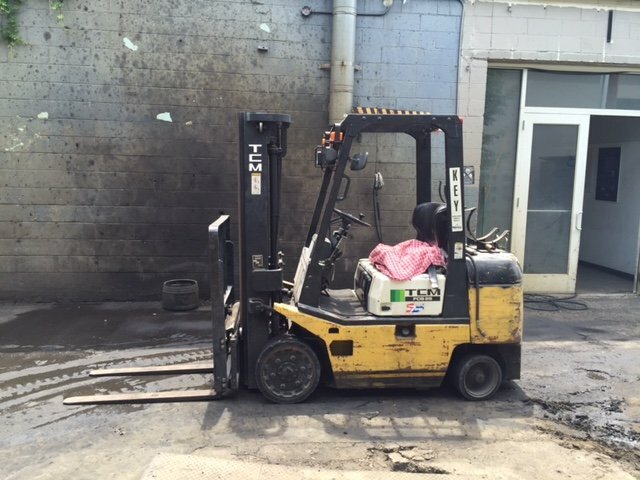 This forklift is great to use as a shop truck in your warehouse. Forklift is being sold in "AS IS" with no warranty. CLICK on image to send email to us if you are interested.